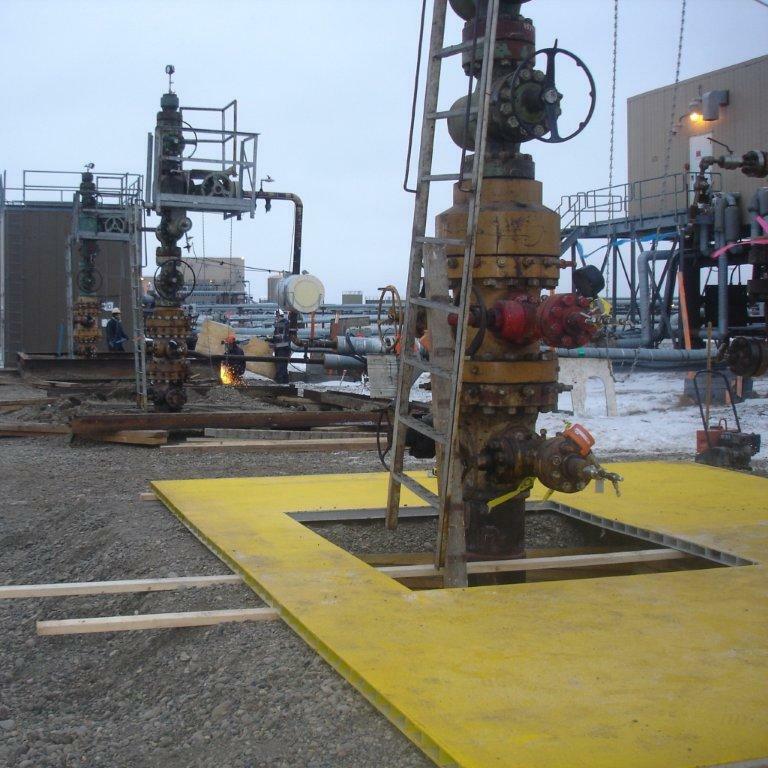 Well Floor Kits & Composite Mats – Afognak Leasing, LLC. Afognak Leasing specializes in the rental, sale, and installation of portable road systems. If you need to get heavy loads across soft ground, Afognak Leasing has the solution: interlocking roadway matting. This system is a fast and effective way to get across soft ground with little or no impact to the environment. Afognak Leasing offers several systems from which to choose and are capable of installing this system on your project or road. Lease options are available. 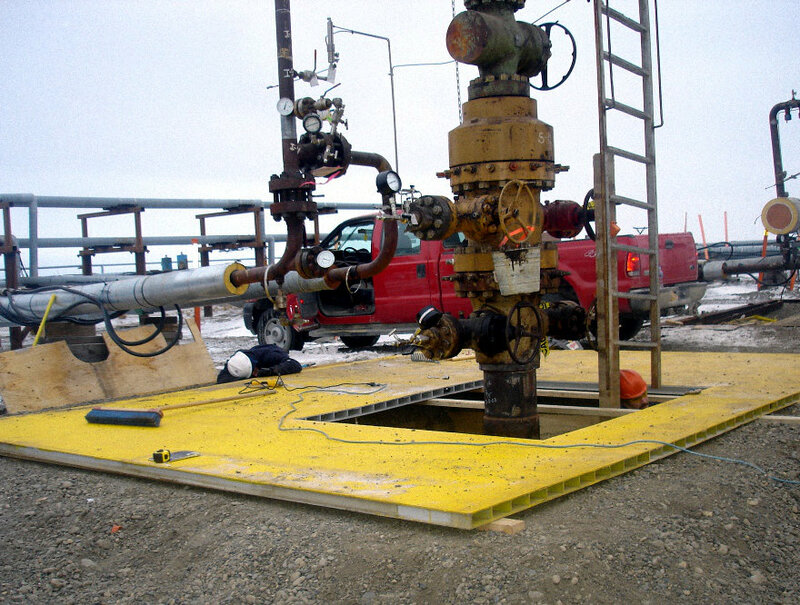 Afognak Leasing offers for rental, the Dura-Base product which is a high density polyethylene interlocking mat system. The mats can be configured in a multitude of shapes to make pads or roads. The mats are locked together by a patented “Cam Lock” system. This product has been proven in Alaska’s harsh arctic environment and can handle the extremes of cold weather climates. We understand the conditions and the transport needs of your industry, even in soft soil and environmentally sensitive areas. Composite mat systems have multiple applications, providing you with a solid solution for roads, boardwalks, turnarounds, and staging areas whenever and wherever you need them. A strong, efficient and reliable system, the Dura-Base product offers a safe, cost effective solution for year-round, all-weather performance. 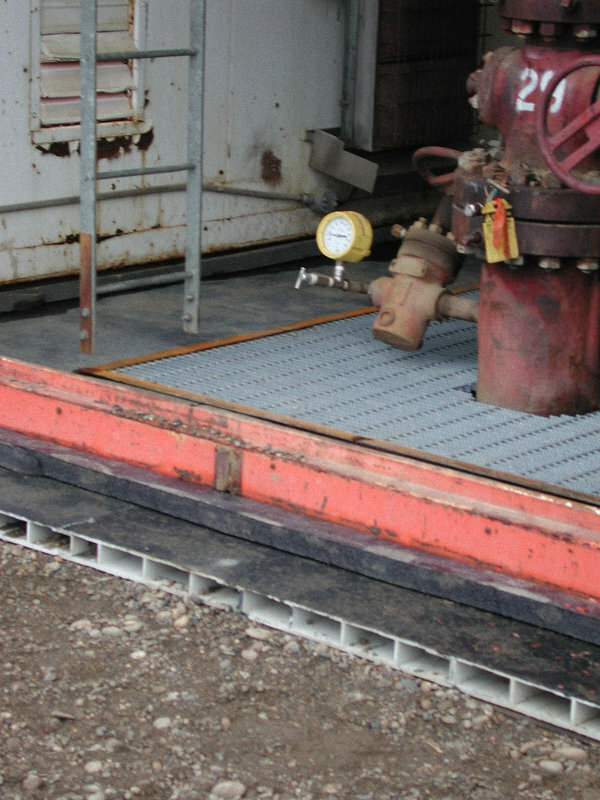 The 8′ x 14′ mats are made of high density polyethylene (HDPE) for a strong, durable, consistent surface that can be used for virtually any industry requiring access in harsh environments. The built-in tread pattern offers improved traction for load-bearing vehicles and heavy equipment. Designed with an overlapping lip and secured with a drop-in locking pin feature, the interlocking system reduces the chance of slippage and movement. The Dura-Base Composite Mat System has significantly outperformed the typical two-ply wooden mats which have been used for a number of years. In fact, material and structural performance tests indicate these new mats will typically last five times longer than wooden mats with virtually no limitation on shelf life. This enhanced performance and longer life can translate into substantial cost savings. Dura-Base is the trademark of Newpark Mats & Integrated Services LLC (“Newpark”). Newpark has not endorsed Afognak Leasing’s services, nor is there any affiliation between Newpark or Afognak Leasing, LLC. Well Floors are custom built to the required size.